It's a bit of a shame: I've been living in Stockholm for many years, but yet until 2018 I had never been to Åland. Åland consists one main island and a multitude of other islands in various sizes in the waters between Sweden and Finland, separating the Baltic Sea proper from the Bothnian Sea. Åland is an autonomous entity of Finland, and in difference to the rest of Finland, it has only one official language: Swedish. I had been thinking for a couple of summers that I should go there, but those were the summers that were a bit drab, and the weather forecasts for Åland were even drabber then. So I figured that this lovely warm summer it was time to finally go there. 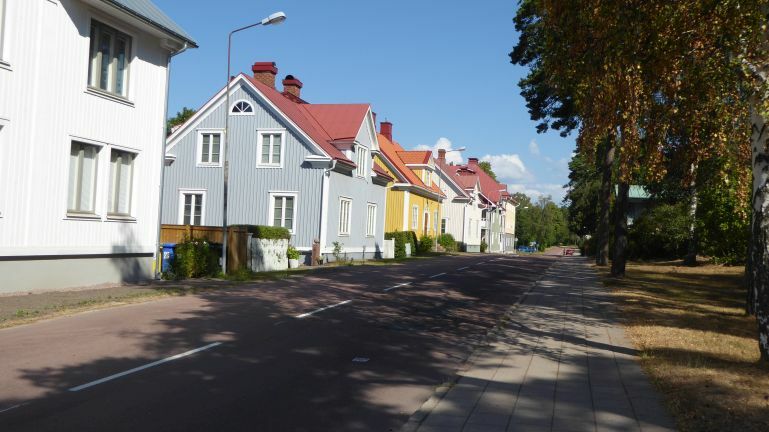 Mariehamn is the capital of Åland, but it is still a small town.